KARACHI: At least five alleged militants were killed in the Lyari operation conducted by Sindh Rangers after an attack with a grenade and automatic weapons was directed at the law enforcement agencies’ vehicle, martyring one Rangers personnel and leaving four others injured on late Tuesday night. 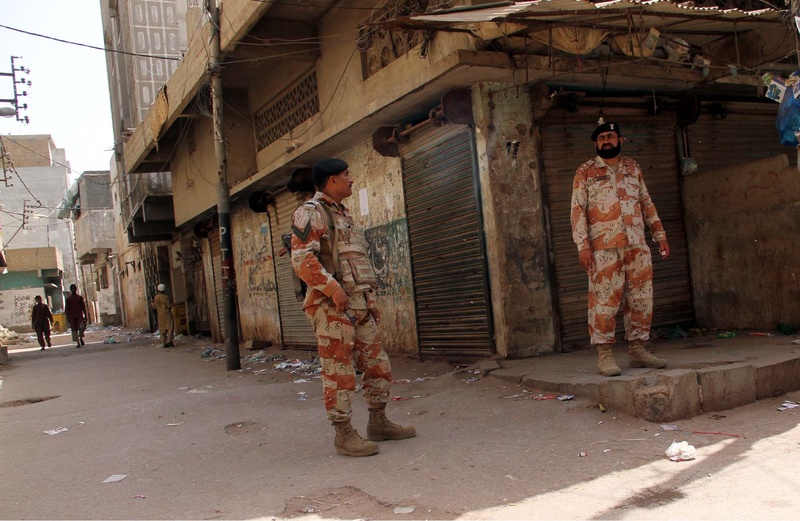 According to details, the security forces conducted an operation in Ali Mohammad Mohalla of the Lyari after being attacked a day earlier. An exchange of fire between the alleged militants and Rangers occurred during the raids. 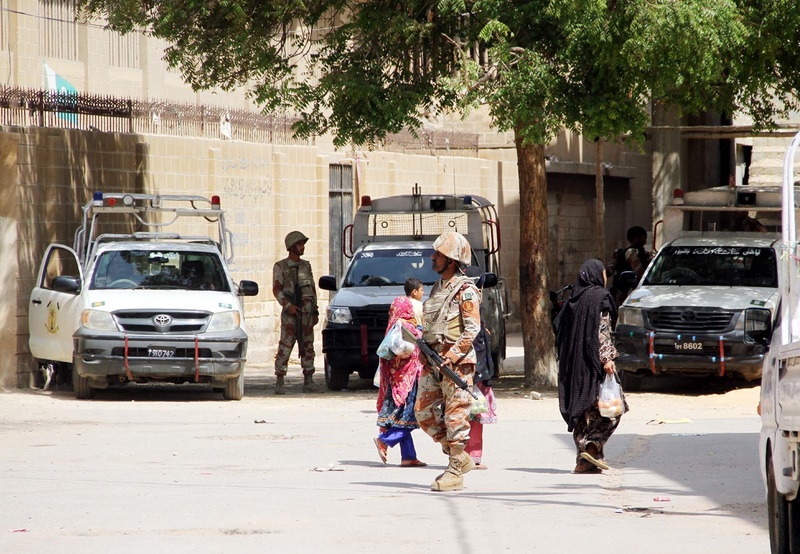 In an exchange of fire, one Rangers personnel was martyred while four were injured who were shifted to Civil Hospital Karachi. One terrorist was killed in retaliatory fire. One hand grenade, three homemade bombs, one 9-mm pistol and magazines were recovered from the slain terrorist. On the other hand, the relatives of the killed terrorist claimed that he was mentally challenged and had nothing to do with criminal activities. However, police and Rangers officials have denied the family’s claim, saying the deceased suspect was a militant. The Rangers’ spokesperson denied the family’s claim that the militant, Chakar Ali, was mentally challenged, saying the force considered him a terrorist. Moreover, City SSP Sheeraz Nazeer told a private news outlet that Ali was a drug addict, not mentally challenged. Chakar Ali was associated with gangsters and his brother Shahzad is also wanted by the police in many cases, added the senior officer. The terrorists who were hiding in the area opened fire on the security personnel. In retaliation, four more militants were killed. Four Kalashnikovs were also recovered from their possession. All those killed belonged to Ghaffar Zikri group. 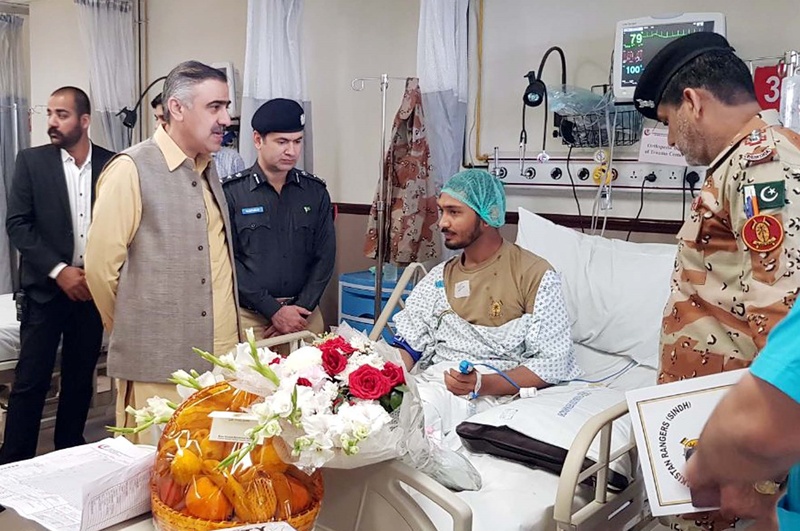 A heavy contingent of Rangers and policemen remains deployed at the Ali Mohammad Mohalla, while the Sindh governor and chief minister directed the Inspector General (IG) to immediately submit a detailed report and condemned the attack.